From a huge archive of photographs, illustrations, toys, objects, magazines and books, they select, edit, present themes, make connections and suggest possibilities. ‘We love books; we’ve been collecting them for years,’ says Goodman. And writing them, too – the couple have just finished Shape, their third book in a neat little series for Tate Publishing (the first two featured photographs by Ella Doran). 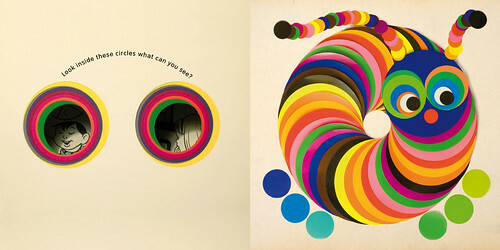 Like A is for Artist: An Alphabet (2004) and Colour (2006), Shape (2008) is an enticing amalgam of type, pattern, hand-made marks, found photos and staged tableaux (featuring toys, kids and general mayhem), hard-bound as a tactile package with an exposed cloth spine, spot varnish and tip-ins. The layouts are bright, breezy, packed with clever solutions but light on text, the emphasis being on parents and children creating stories and activities together; these books don’t dictate ‘how to’, but instead encourage ‘have a go’. 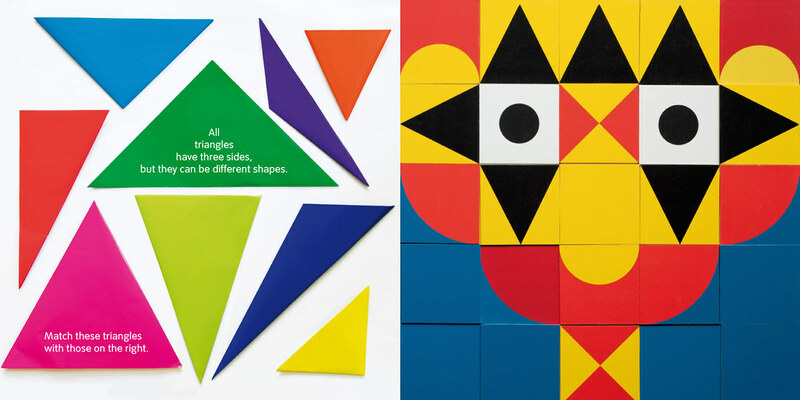 Above and below: spreads from Shape (2008), the latest children’s book by Silence for Tate Publishing, explore triangles, circles and other geometric shapes. 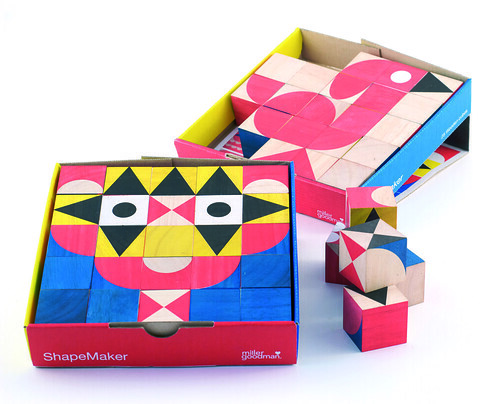 The face top right is formed from ShapeMaker blocks (bottom). ‘We could have licensed the toy idea to a production company but we’d have lost all control over how it was made,’ explains Goodman. Instead they went to toy fairs in Hong Kong and Nuremberg, chose a manufacturer with good credentials and a material, rubberwood, that is lightweight, sustainable and affordable. 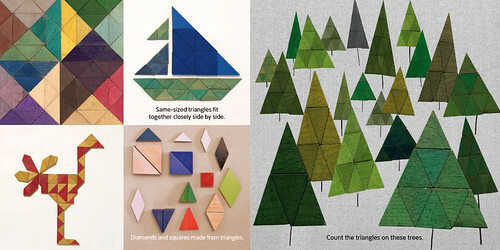 They have set up a toy brand, millergoodman, to market ShapeMaker (named ‘best gift for kids’ at a recent Top Drawer trade fair), and already have more ideas on the boil. In an inclement economic climate, diversification could be a good way of riding out the storm. Bringing their graphic design sensibility, along with a good dose of integrity, to the toy industry, Silence is making some noise. Millergoodman products can seen at the East London Design Show (4-7 December) and are available from the Tate Online Shop.